La Seu D’Urgell is situated in the centre of a plain surrounded by mountains and has, since time immemorial , played a notable role as crossroads on the routes from Lleida plain to Cerdanya and Roussillion, Central Catalonia and Andorra and to the other side of the Pyrenees (France). This fact explains the presence of humans in this area from the earliest times, as well its geographical importance. It has often been speculated that the first precursor of La Seu D’Urgell may have existed in connection with the hill of Castelciutat. Some historians have pointed to the possibility of having been there a fairly important late – Roman military presence on this spot, and even the existence of an urban settlement and Cathedral. The name Castellciutat would have led to the assumption, although it has not been adequately verified by archaeological or documentary evidence. However, what we can be sure of is the fact that the current centre of La Seu D’Urgell arose around the area occupied by the old town. It seems that in the late – Roman period this area, which was a crossroad at the intersection of roads defined by the rivers Segre and Valira, might have undergone some degree of fairly dense occupation according to the archaeological remains that were discovered just a few years ago, at the ancient Church of Santa Eulalia, beneath the Town Hall of La Seu D’Urgell. In 531, the existence of a Bishop of Urgell is documented for the first time, in relation to Bishop Justus, who attended the third Council of Toledo that year. The creation of a new diocese in the Pyrenees, the circumstances of which remain obscured, would have been accompanied by the building of a first cathedral. Although the lack of archaeological evidence makes it difficult to locate this first building, which would become important in the future evolution of the city, much of the academic would agree that this temple would have been built in a central location close to the current cathedral. The ecclesiastical centre of the diocese of Urgell, and the bishopric that would have given its stimulus, would already have had a major role in the organization of the Pyrenees lands during the 6th, 7th and 8th centuries. La Seu would become the main driving force of a new hybrid society, in which the legacy of the Roman period, Christianity and ancient forms of a Pyrenean culture in retreat would come together, which would happen in the construction of Catalonia. Since the time of the late Roman period, the mountain areas and especially the Pyrenees, were home to a significant population. 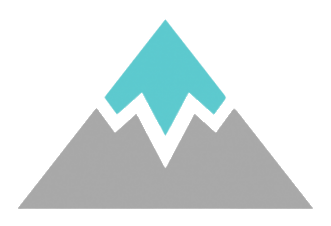 The collapse of urban systems, centralized power and long-range trade without doubt contributed to this phenomenon of revitalization in the mountain areas. On the hand, these uncertainties about security also contributed to the large movements of people which took part during this period. The reorganization, hierarchal restructuring and the Christianization of these Pyrenees lands required the establishment of political and religious hierarchies, and in this context the primitive La Seu D’Urgell, the centre of a large Pyrenean bishopric, would come to play a major role. With the Muslim invasion in the 8th century, the Pyrenees were under pressure from the regional powers from the north and south: the Carolingians and the Andalusians. It was, however, a period of isolation. 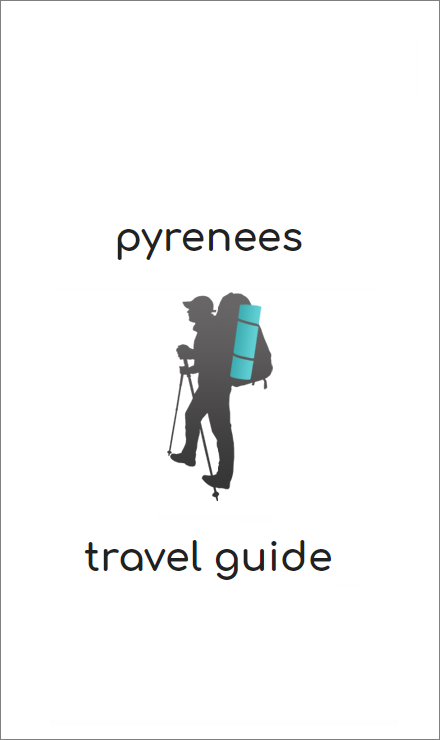 Far from becoming a barrier, the Pyrenees became a juncture between two worlds and the creative centre of a new model of society. The monasticism, originating in the Visigothic period, continued to rise, and would have a great influence on the structuring of the new country, on its Christianization and on its human development. Unique ventures such as that initiated Bishop Felix (781-799) with the doctrine of Adoptionism , which believed in the unity of God, in opposition to the supporters of the tripartite nature, demonstrate that the Pyrenean village, bustling, economically active and mobile, could also become the focus of profound intellectual and theological disputes at the European level. 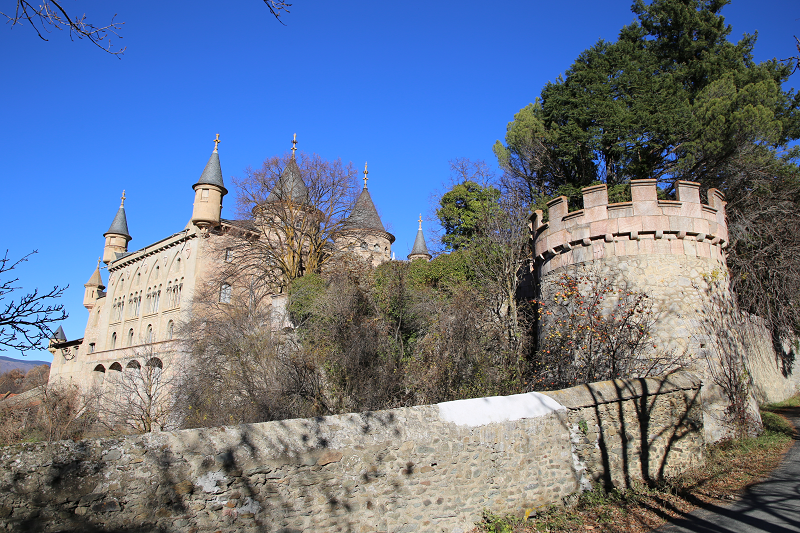 Although La Seu and its suburbs remained largely at the margins of the Muslim presence, its strategic location at a crossroad of the paths that guarded one of the main routes to cross the Pyrenees did not save it from some violent episodes. For instance, in 793, the Saracen troops, of Abd al-Malik, returning from a raid on the city of Narbonne and southern Gaul, destroyed the old town of la Seu D’Urgell. Some authors have argued that, in reality, the troops of Abd al-Malik destroyed the town of Castellciutat along with the putative cathedral of Bishop Justus and that , as a result of this, the cathedral, would have to be moved back to the plain and would have given rise to La Seu D’Urgell. However, the scarce data available points to the original construction of the Cathedral being of the plain and, if it had been destroyed by the Saracens, its reconstruction in Carolingian times would not have involved and change of location with respect to the previous Visigothic church. After the Adoptionist crisis, when the Pyrenees had been definitely incorporated into the Carolingian realm, the bishopric of Urgell passed into the hands of the ecclesiastical province of Narbonne, at the same time that the region adapted itself to the context of the county structures of the Marca Hispanica, or Spanish March. In any case, the dominant role of la Seu in the social, political and cultural construction of the Pyrenees war crucial, as evidenced by the fact that, beside the figure of the Bishops of Urgell, stood the counts of Urgell as permanent delegates to the Carolingian Emperor for territory that extended around La Seu, from the highest peaks of Andorra to a constantly moving border to the south. 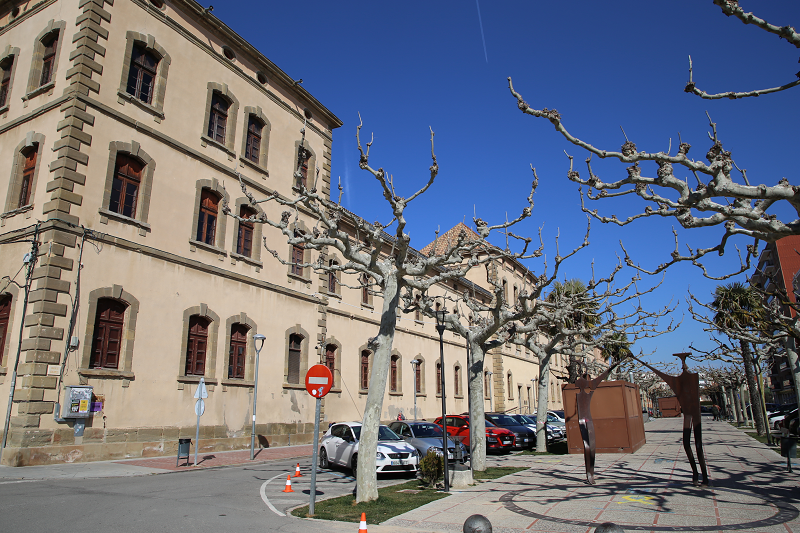 The County Palace world be established on the hill of Castellciutat and, from that moment on, it would wield a dual civil and religious power in the late Middle Ages, causing severe problems. To the rhythm of these events the centre of La Seu D’Urgell began to grow, the ecclesiastical centre, formed by the cathedral and some adjoining churches , such as Sant Pere and Sant Andreu, as documented in the 9th century would be expanded with an articulated growth around the road that led towards The Cerdanya and at the crossroads of the road to Andorra, setting up a core which, in time, would become known as the Old Town. In the 10th century the ecclesiastical district, clustered around the Cathedral of Santa Maria, would continue to grow, with ever increasing numbers of properties to house the staff and services related to the management of the diocese and the church of Urgell. In this period of the 10th and 11th centuries, the Church of Urgell, headed by members of the families of the Pyrenean Counts, incorporated into the new logic of feudal power, began to accumulate large territorial assets on the Urgell plain and in the neighboring valleys. Undoubtedly, the Gregorian reforms, introduced into the County of Urgell from the 11th century, limited interventions of the laity in Ecclesiastical Affairs and increased the autonomy of the Church in the spiritual and temporal domains. However, maintaining the feudal possession created tensions with the neighboring lords, which would be made worse throughout the 12th century. It was in this 11th century that a Bishop definitely influenced the future of La Seu D’Urgell. The Bishop of Urgell, Ermengol (1016-1035), was the biggest, promoter of the Episcopal see and its territory. Bishop Ermegol, a contemporary of Abbot Oliba, was a constructing Bishop. Under his initiative a large amount of both religious and civil work was instigated and he promoted the construction of a new Cathedral within the stylistic parameters of the Lombard Romanesque style, as well as the church now dedicated to Sant Miquel, the only evidence of the ancient cathedral complex rebuilt by Bishop Ermengol and the oldest building in La Seu to remain standings. At the same time, Bishop Ermengol incorporated La Seu D’Urgell into the Episcopal jurisdiction, which would influence its historical evolution until the end of the “Ancien Regime”, and he promoted the economic activity of the population with the creation of a market and a fair that are among the oldest documented of the Iberian Peninsula. Accordingly, he would also be noted as a builder of roads and bridges that lead to La Seu from around his bishopric and he would even die in a accident during the construction of a bridge at a place Barida, on the route to Cerdanya, known today as Pont de Bar. Along with Abbot Oliba, to whom historiography has been rather more generous, Bishop Ermengol was the great energizer of the Pyrenees and laid the foundations for what would be a great national creation that emerged during the following centuries: the formation of the Catalan nation. In the 11th century, a time of plenty, the County, of Urgell underwent a notable period of expansion. Count Ermengol First (I) participated in the famous Catalan expedition to Cordoba in 1010, and although he died in combat at the battle of Aqbat al-Bakr, the change in the period, caused by the adventure against the heart of al-Andalus, was evident. From that moment on, the military initiative would belong to the ferocious warriors of the Marca Hispanica, including the Count of Urgell, who conquered Guissona under the guidance of Bishop Ermengol, Ager with Arnau Mir de Tost at the helm and, finally, the great Andalusian city of Balaguer in 1106, which became the capital of the county. The remarkable development experienced during the 11th century caused the remarkable, growth of La Seu D’Urgell. 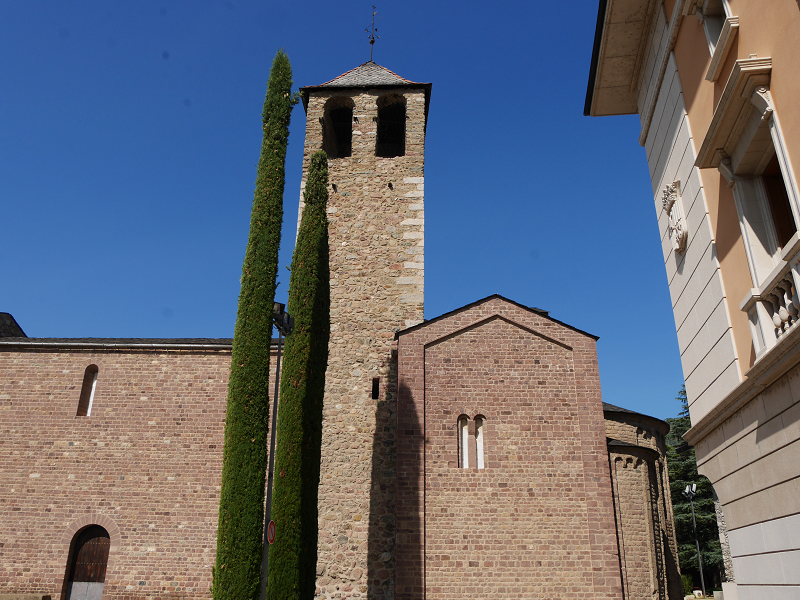 Around the Cathedral, Bishop Ermengol built new churches, such as those of Sant Pere, Santa Eulalia and Sant Sepulcre, with the intention, as some scholars claim, to convert La Seu D’Urgell, into a centre of reference of reference for pilgrims who began to take to the roads to venerate the Holy relics. 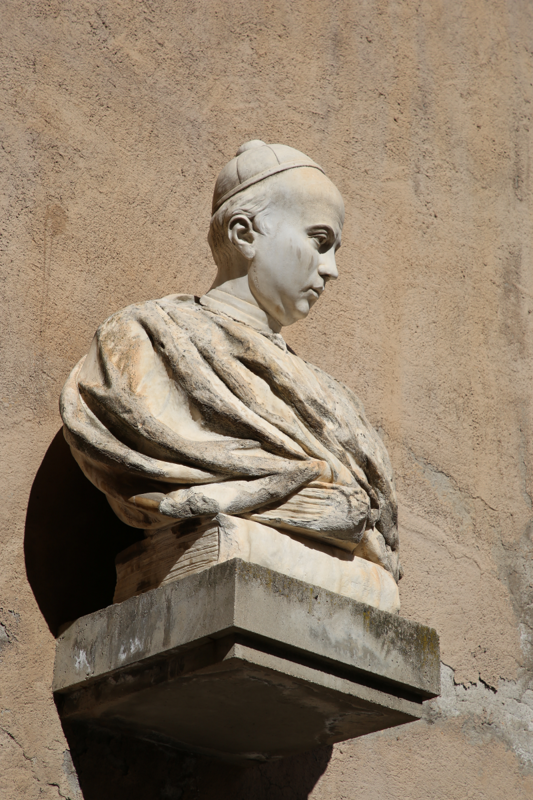 In fact, Bishop Ermengol was the first Catalan Bishop who is known to have undertaken the pilgrimage to Sant Jaume de Galicia, a journey that he would have taken shortly before his death at Pont de Bar. Equally, in the Cathedral area there would soon be the first hospital, located in front of the portal of the Cathedral, and new areas for carrying out the new commercial activity that the population had acquired, with the holding of markets and fairs, such as the so-called Boveria, dedicated to the sale of livestock. 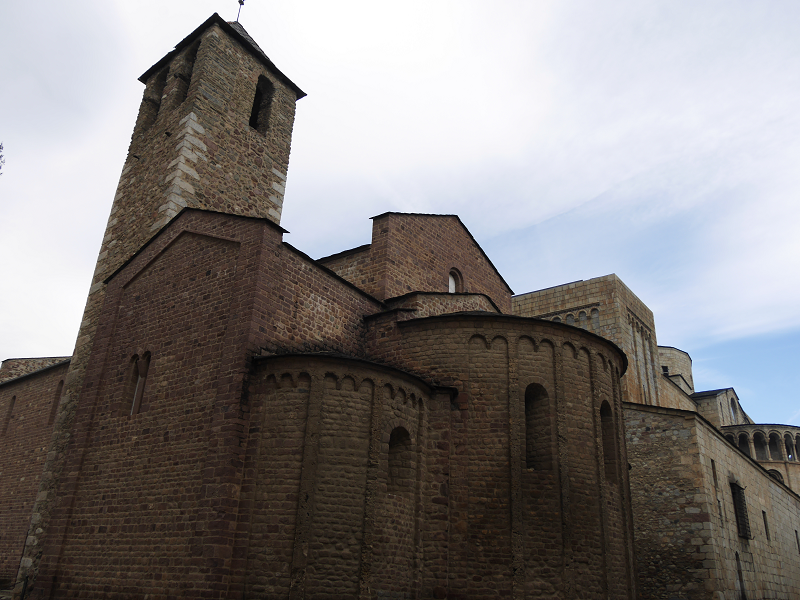 Not yet a century had passed since the consecration of the old Cathedral of Bishop Ermengol when a new Bishop, Ot of Urgell (1095-1122), undertook the construction of a new cathedral, “in the wake of the ruin that threatened the old cathedral”. 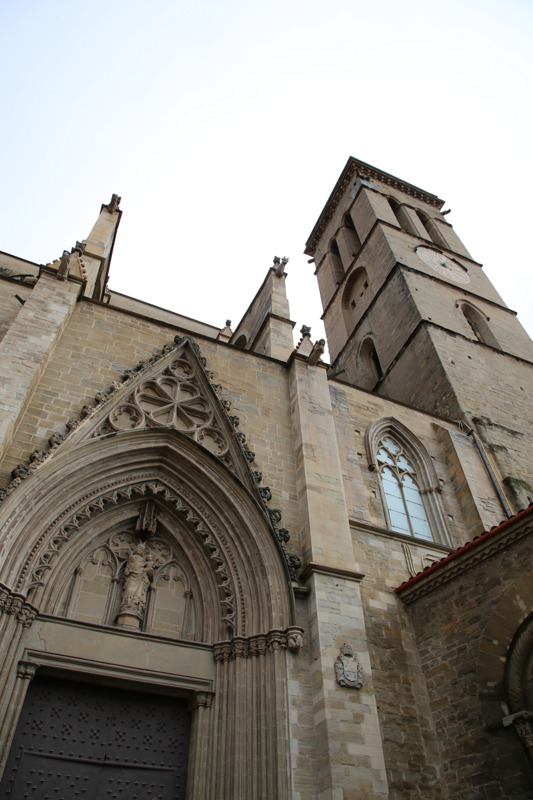 The new cathedral, built according to the ideas of the full Romanesque, is the main Catalan architectural work of the 12th century and gives an idea of the great capacity that La Seu had at that time to obtain the resources needed for its construction. It is the only Catalan Episcopal see that undertook work of this kind during the 12th century: the rest of the Catalan cathedrals had already been built in the previous century and, unlike La Seu D’Urgell, did not undertake projects of this magnitude again until well into the 13th century. The construction of the new cathedral by Bishop Ot caused the buildings that surrounded the cathedral to be confiscated and moved to the west. This strain contributed to the creation of the upper part of the Carrer dels Canonges. However, the development of a new town should not be related directly to the growth activities of the ecclesiastic complex, but with the development of the artisanal and commercial activities, which would have their own important role in the evolution of the town and its urban landscape. In the end, however, the ecclesiastical pressure and the economic dynamism made this centre grow around a street, which is now the Carrer dels Canonges, with two new districts created at either end: the Capdevila and Soldevila districts. It is also at this time, on the basis of the reform efforts of Bishop Ermegol in 1010, that the Canonry, or community of the canons serving the cathedral, achieved most importance. During the 12th and 13th centuries, the canons had, among other functions, the task of choosing the Bishop when the seat became vacant. 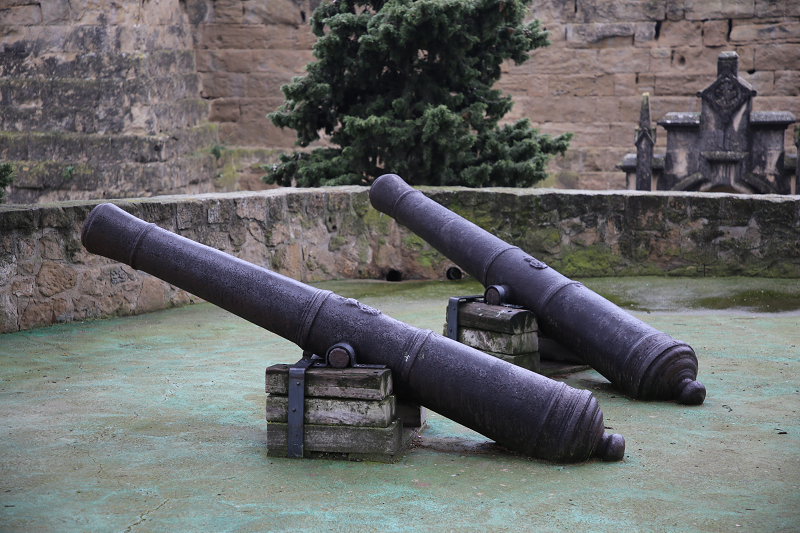 At the end of the 13th century, the canons left to live in the community, and the cannonry was secularized. From that moment on, many of them would go to live on the streets which began to be known as the Carrer dels Canonges or the street of the Canons. The economic growth of La Seu D’Urgell and its suburbs or neighborhoods must also be seen in context with the development of various hydraulic engineering works that, since ancient times, had been developed in parallel with the urban fabric. A complex system of canals to take water from the Valira river and to drain into the Segre river, arranged around, the urban fabric in a way that was consistent with the lie on the land, and allowed both for the drainage of waste water and setting up of mills for grinding cereals. The growth of La Seu D’Urgell also had its turning points or pauses. 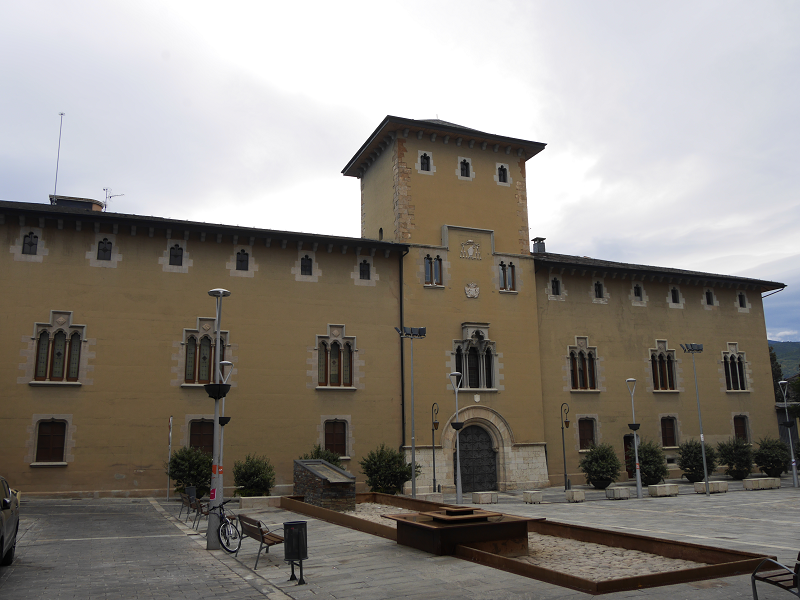 From the mid-12th century, wars with the Viscounts of Castellbo were frequent due to the feudal tensions built up through a strong Church of Urgell that had become a powerful regional agent. But these tensions would become worse at the end of the century, with the attack that Count Ramon Roger de Foix conducted against the town, probably in 1196. The cathedral, then still under construction, was sacked and the town set on fire. This fact, and the ongoing tensions with the neighboring nobles and also with the Counts of Foix, allies of Castelbo, compounded by the crisis of Catharism during the 12th and 13th centuries, created the need to fortify the city in several phases, so that the successive walled enclosures were adapted to the progressive growth of the city to prevent any of these districts or suburbs being outside. Towards the mid-14th century, what would become the definitive enclosure was nearly formed, which incorporated the various existing centers and the cathedral complex. The walled area included what had been the old village, passing to the east of the slope of the terrace on which the village stands, and to the west, going beyond the limits of the current Carrer Major. In the south, the boundaries were marked by the portal or city gate, that topped the Carrer dels Canonges. Some outer buildings next to the site, such as the convent of the Dominicans, which had been built at the northern end of the Capdevila portal, were demolished to prevent attacks against the nearby walls. Nevertheless, the walled enclosure was subject to further reorganizations and reforms from 1630, at the time of King Pere el Cerimonios. At the end of the 13th century, the agreements between the Bishop and the Count de Foix to establish an agreement with Andorra had partially lessened the tensions with its immediate neighbors. During the second half of the 14th century, however, new conflict situations intervened in the remodelling of the defense. In this historical moment, the wars with Castile forced the adoption of a process of widespread fortification in the whole of Catalonia. The cities built new walls or they rebuilt those they already had. In the case of La Seu, they were extended slightly on the southern side and it is likely that a portion of the facing wall was rearranged and the new towers or open towers were built. The walled area of the 14th century and early 15th century defined, finally, what eventually became the old town of the city. This site would enclose all the space that currently forms the old town, which was opened to the outside by five portals or gateways: Andorra, Cerdanya, the Bishop’s, Soldevila and Tredos gates. In this period the city was a well populated and active place, a cauldron of activity which we know quite well from documents. It is difficult to evaluate the size of the population that it would have had but, taking into account the area that was built up, it probably exceeded a 1000 people, to whom we should add the somewhat dispersed population in the suburbs. 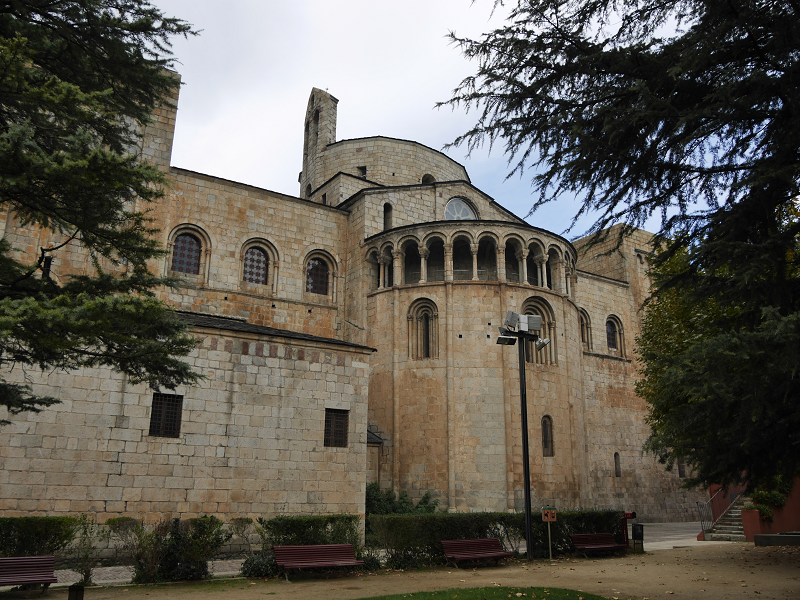 La Seu D’Urgell was an important center for services and decision-making and, despite the dazzling rise of Puigcerda from the end of the 12th century, it continued to be a center of reference for the Pyrenees area. It should be noted that the cathedral complex and the bishopric, which deployed its jurisdiction over a wide area and which had a considerable feudal domain, generated significant activity. The canons, their relatives, employees and servants linked to the Episcopal environment constituted a significant sector of the population. In addition, however, the city was an important productive and commercial center. The beef cattle sector generated activity among butchers and tanners who, in turn, supplied raw materials to the shoemakers. The livestock business required, in addition, the availability of salt, which was stored in a salt-store, and lime, in a calcineria. 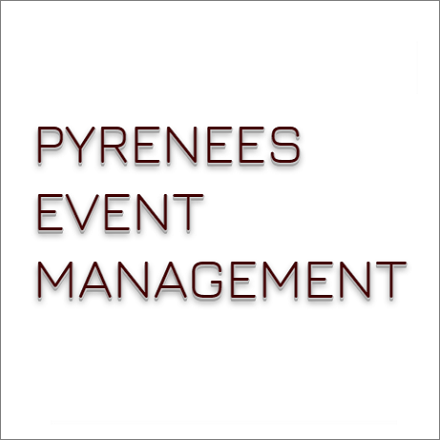 There were merchants, traders, dyers and drapers. Within or close to the enclosure, flour and textile mills operated, and the city had thriving Jewish community who had a synagogue, probably in the area of what is now the Carrer de Sant Emigdi. In this period a new Episcopal Palace was also constructed, built from the end of the 14th century on the eastern perimeter of the city, the complex becoming a new defensive redoubt for the whole of this area. During the modern area the city maintained its perimeter and continued its influence on the structure of the Pyrenean area through active trade with Andorra and the Occitan lands which became ever affected, however, by the establishment of a frontier between the Spanish and French monarchies which would separate communities of the northern and southern slopes of the Pyrenees. Numerous palaces were erected in the city linked to religious power and to that of the nobles and merchants, which excelled in all the cultural aspects while bringing in people of some note, such as the musician Joan Brudie. The influence of the people from Urgell on Catalonia was also important as the canons from La Seu were often present at the Courts and in some instances, assumed the Presidency of the Generalitat de Catalunia, The most significant instance was that of Pau Claris who led Catalan politics at the start of the Guerra dels Segadors, or the Catalan revolt, which began in 1640. The city experienced problems arising from the frontier wars which continued, in a sustained manner, between France and Spain during the second half of the 17th century. In 1691 the French laid siege to the city and they knocked down the wall in order to be able to control a weak border area, the Spanish monarchy ordered the reconstruction of a fortress on the hill of Castellciutat, in place of the old castle and at the cost of having to move the entire village of Castellciutat that had grown up at the bottom of the hill. 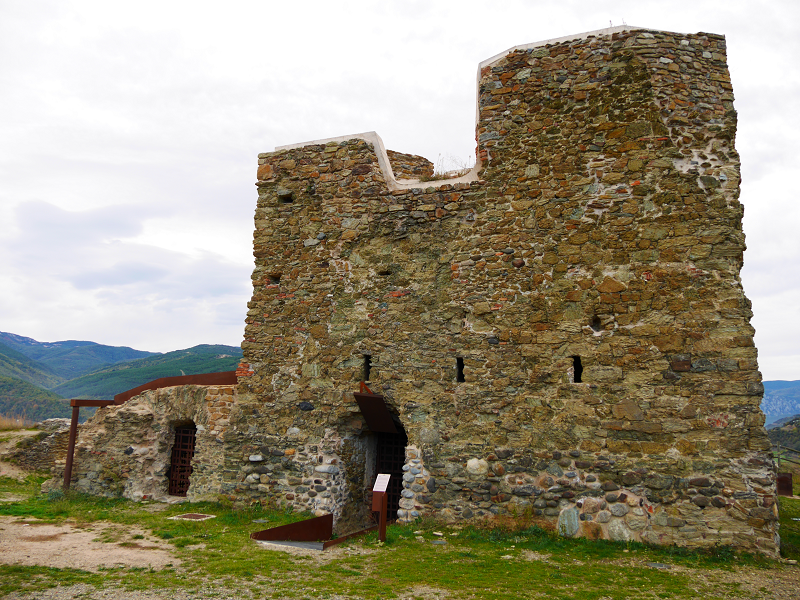 The new fortification covered the route of the Segre river and the access road to Andorra. During the War of the Spanish Succession, the fortress played an important role and one of its governors was the famous military general, Josep Moragues, who was executed in Barcelona, at the end of the conflict. During the Peninsula war the territory of La Seu remained distant from the Napoleonic armies and the battle fronts. After the war, tensions between liberals and absolutists created a dynamic of civilian clashes that lasted until the end of the Third Carlist War. In 1822, the absolutists constituted the Regency of Urgell at La Seu, in the name of Ferdinand VII and the absolute monarchy questioned the new constitutional regime that had been imposed by the rebellion of Riego. The Regency organized an army and prepared for the uprising in inland Catalonia. The liberal Government responded by ordering the Captain General of Catalonia, Francisco Espoz y Miina, to suppress the rebellion. La Seu D’Urgell and the fortifications of Castellciutat were besieged and surrendered. During the following decades, throughout the Carlist Wars, the city and its fortifications remained under the control of the Government troops who then hurried to rebuild part of the defense of the city. However, in 1874, the Carlists were able to take shelter in the fortifications of Castellciutat where they remained for many months. The government troops, however, directed by General Arsenio Martinez Campos, the author of the Bourbon Restoration, retook the forts in 1875 after a brief siege, held using military equipment left over from the Franco-Prussian wars. In 1883, once the Carlist dispute had been settled, the final demolition of the city walls began. La Seu D’Urgell would drop its military function and, in the new context of the relaunch of the economic activities that affected the whole of the country, began a process of urban expansion towards the west. During the 20th century, the city continued to maintain its role as the capital of the region and seat of the Bishop. The arrival of the road to Lleida in 1896 marked a great improvement in communications in the Segre Valley, which until then were virtually the same as they had been in the time of Bishop Ermengol, and opened up new prospects for the city. During this period, people, such as Josep Zulueta also initiated changes in the agricultural sector while enabling the replacement of the vineyards, wiped out by phylloxera, and the cultivation of cereals in the meadows and the promotion of dairy production. The creation of the iconic Cooperativa Lletera Cadi (Cadi Dairy Cooperative) in 1915 would be a reflection of the significant changes in the structure of the agricultural production of the period. 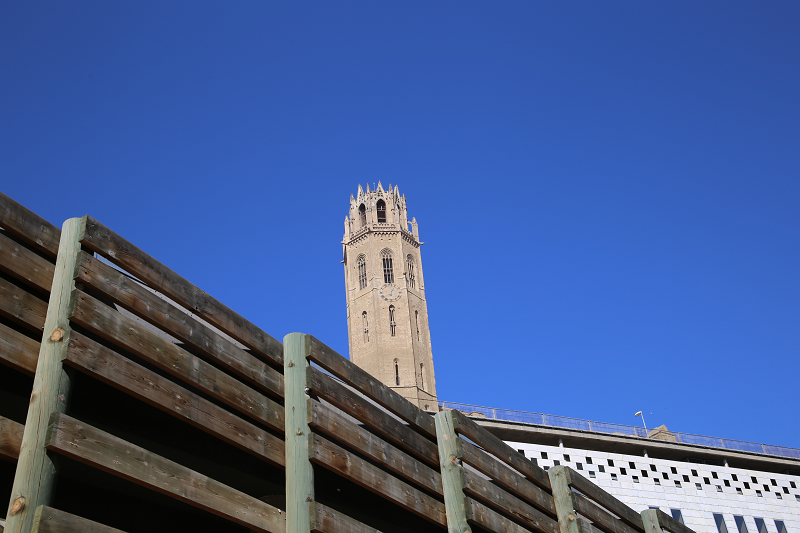 From 1927, the urban development outside the city walls was implemented with the reform and urban expansion plan which was drawn up by the architect, Joan Bergos, which, after that of Lleida, is the oldest of its kind in the province. The Civil War and the long post-war period affected the growth and progress of the city and it was not until the 1960s that the economy was reactivated, at the same time as trade with Andorra began to take hold in the mentality and daily life of the Catalans. 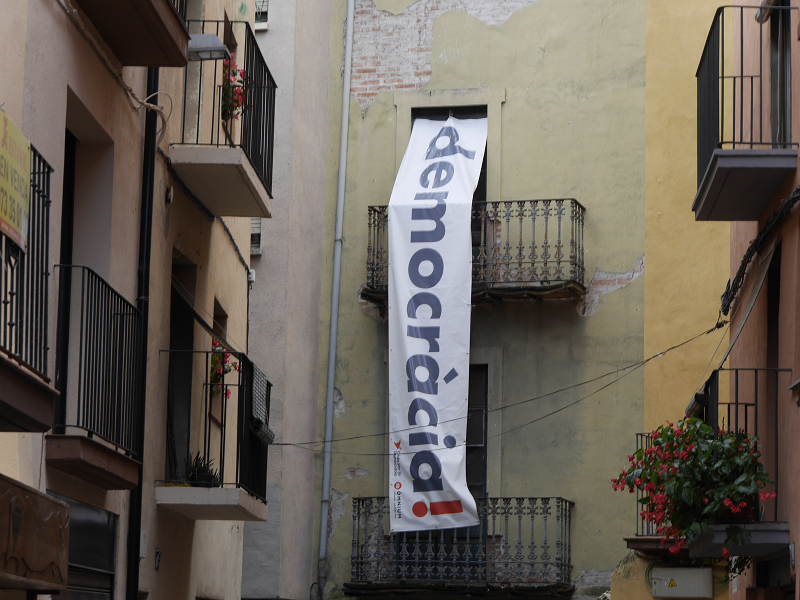 Economic growth resulted in the unplanned expansion of peripheral neighborhoods which was taken back under proper control from 1979, with the new democratic City Council, which was to rationalize and plan the growth that had already gone beyond the predictions of Joan Bergos. Additionally, at that time, in November 1982, the city suffered a terrible flood that left much affected by the water from the Segre and Valira rivers. This episode, however, prompted a determined action in order to achieve the canalization of the River Segre. In 1992, La Seu D’Urgell ended the 20th century as a place for the Barcelona Olympic Games, hosting the white water canoeing trials.